Along the wall outside our livingroom. See here also for more animals outside our home. 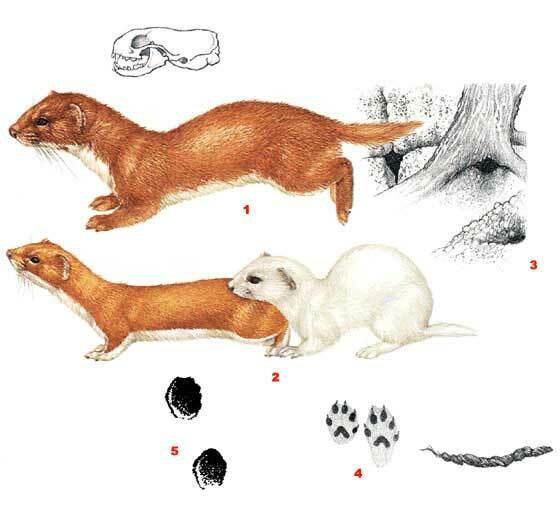 weasel is a fierce hunter, capable of killing a rabbit 5-10 times its own weight. latter constituting less than half its body length. The feet are armed with sharp, dark claws, and the soles are heavily haired. 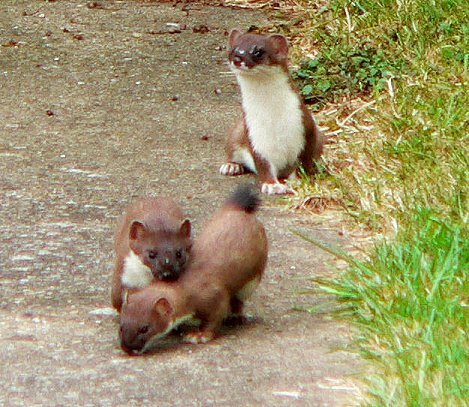 Stoat (Mustela erminea); Three (wild) baby stoats playing in a garden in Suffolk. Date 10 July 2006.
sparse. 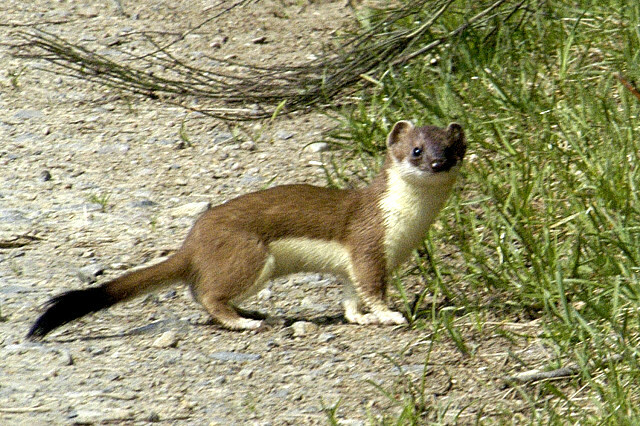 In summer, the fur is sandy-brown on the back and head and a white below. varies seasonally, depending on the abundance of food and mates. 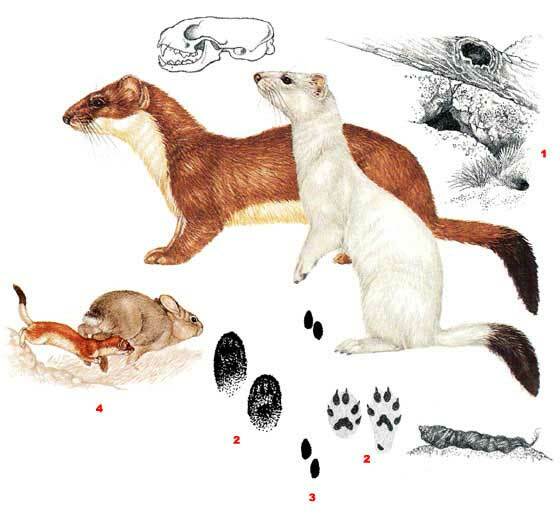 small mammals; birds and their eggs and young; and sometimes fish, reptiles, amphibians, and invertebrates. animals much larger than itself. When it is able to obtain more meat than it can eat it will engage in "surplus killing"
and often stores the extra food for later. and is considered a serious pest because it eats the eggs and young of native birds. 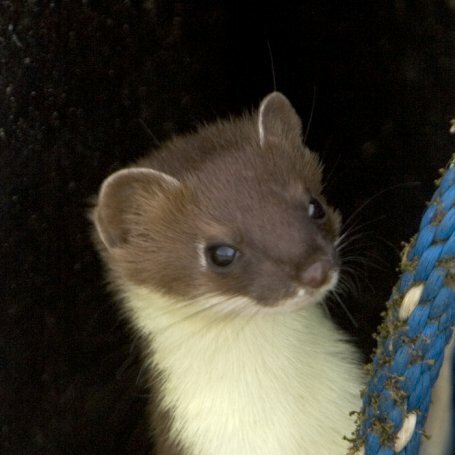 The stoat is considered to be the prime cause of the decline and/or extinction of a number of NZ bird species. 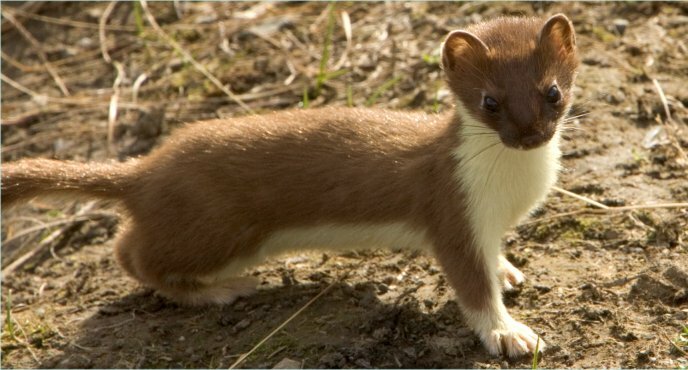 Stoats are largely nocturnal or crepuscular but will sometimes come out during the day.